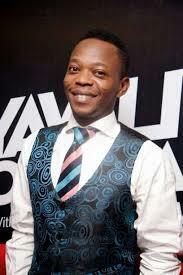 In an interview with hipTV, Ace Comedian, Koffi referred to Kiss Daniel as a big artiste that is in a dead zone. This is coming months after he penned down an open letter against the singer and his management, G-Worldwide act. He still insists that the singer's management is killing his talent. Koffi lamented the situation whereby an artiste is not allowed to feature on songs by other artistes, thereby potentially destroying his image. He likened the situation to the Nollywood industry where Alaba businessmen became the ones to dictate which actors could star in movies.